Looking to pass your LEED Green Associate exam? At a minimum, we would recommend our LEED Green Associate study guide and practice tests. Together, you can read everything you need to know to pass your exam and use our practice tests to know when you are ready to take your actual exam. If you are not limited by a budget, we would recommend our Platinum Packs which include all of our great study tools at one low price. Looking to maintain your LEED Green Associate credential? 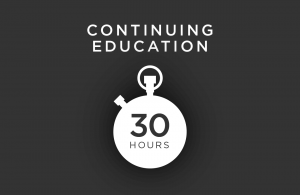 If so, as a LEED Green Associate you will need to earn 15 hours of GBCI approved Continuing Education (CE) hours, and 3 of those 15 need to be "LEED Specific". We have over 100 great GBCI-approved and "LEED Specific" CE courses to choose from. Simply watch the course, take a short quiz, and we even auto-report your CE hours to the USGBC for you! Who Should Earn the LEED Green Associate Credential? The LEED Green Associate (GA) professional credential validates that you have learned the latest with green building fundamentals, covering commercial buildings as well as homes and neighborhoods. This Tier I USGBC/GBCI credential covers designing and building green as well as operating your buildings in an eco-friendly way. A LEED professional credential shows that you are a leader in your field and an active participant in the advancement of green buildings. On the LEED GA exam, there are additional questions that pull from Operations & Maintenance (O+M) and a little from Homes/Neighborhood Development. Our LEED GA exam prep materials will help set you up for success on exam day. Our LEED students have a 95% first time pass rate! Already have the LEED GA credential and need to maintain it? Check out our LEED GA Continuing Education courses!